Home » CM Blog » Content Marketing » B2B Marketing on Pinterest: What works, what doesn’t? B2B Marketing on Pinterest: What works, what doesn’t? The statistics, the metrics, the audience … Pinterest is enticing for marketers, it’s got us foaming at the mouth for conversions and engagement and reach. We HAVE to be there, NOW! What are you trying to do on Pinterest? If you are trying to get leads or sales, you better be in fashion or crafts, otherwise good luck. If you’re a B2B company, you need to reassess what your strategy is. Engagement is not a strategy. Engagement is a goal. Brand Awareness is not a strategy. Brand awareness is a goal. Strategy is HOW you get those things across. 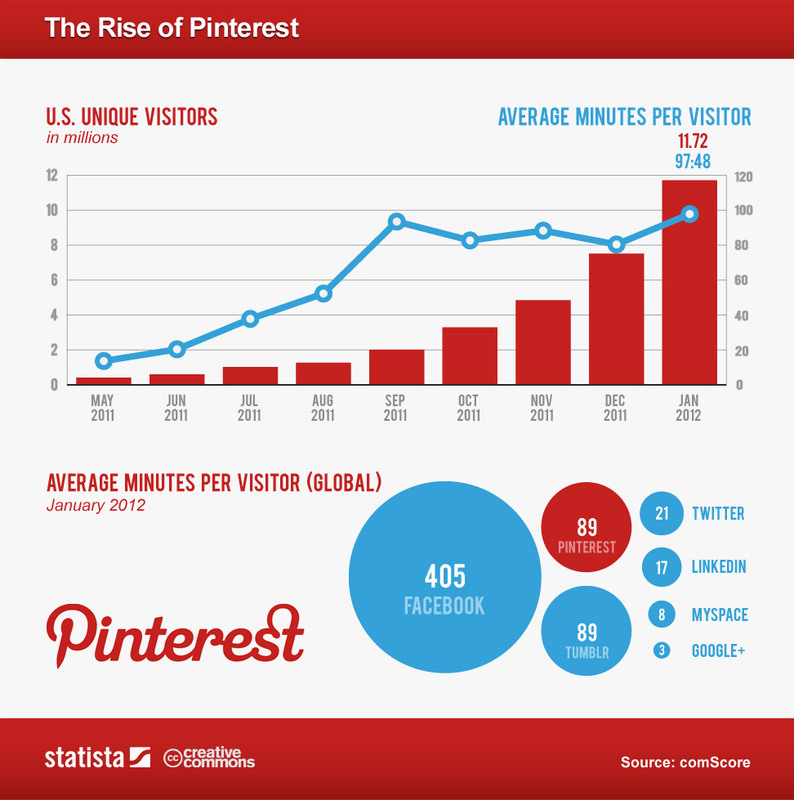 So if you’re a B2B marketer, what are you doing on Pinterest? Are you there to have a presence? Sure. Are you there to promote snippets of information? Fine. But remember, this is not Twitter. This is not Linked in. I know, even I’m getting sick of hearing myself say this at this point. It’s extremely frustrating at time to have to keep saying it, but it keeps getting missed. If you want to be a part of Pinterest and increase awareness and engagement, you HAVE to provide content people want to share. As a personal notebook to keep track of ideas, pictures, tips and instructions. Pinterest is like a personal notebook in that sense. To share with this information and tips with others. These can be tips, crafts, quotes or photos. To get ideas to fulfill the above 2 points. Pinterest is different than other social platforms in that is it a visual personal reflection and group sharing all at once. There are definite topics of interest, and definite trends at any given moment. There are also pockets of Pinterest that may be more tailored to your needs. (and by “you” we mean ANYONE using Pinterest, whether it’s general audience users or brands looking to set up a presence and boards to engage the aforementioned audience). Make sure your content links somewhere – useful to you and the user. If you are featuring an ad, link to the agency or brand’s site featuring it. Description – use it. Describe, in English, not lingo, what this says. Give it a summary and make it keyword rich. And by keywords, again, pick one’s THIS audience uses, not the standard obvious ones for the brand or your self-serving needs. Commets – again, use them. This allows you more space (unlimited actually) to talk a little more about the content, but be considerate. If you write a novel, it will clog up newsfeeds and users will be annoyed if you keep doing this. Credit – give credit for the content. If this is a repin, acknowledge the source and make sure you like it and comment on the pin at the sources board, first. Repins – THANK them, but also speak to them in English, don’t give a rote reply. Again, this is NOT Twitter. If you want to keep doing stuff like that, go back to twitter. Hashtags – we recommend them. It allows you to track comments and topics, and allows for easy searching and monitoring in listening programs. What the heck are you posting? Are you posting things that your followers are interested in? Sure, you can say you are, that’s why they’re following you, but honestly, is it? Aren’t they your employees, friends, clients, family, with the occassional one who liked some of your content? Are you posting things that the general audience or other audiences would like? That’s what increases engagement, the sharing by others. Can you name the 5 or 6 top things the overall audience is interested in? If not, figure it out and stop posting until you can. Can the content you post be categorized in one of the categories under everything? Your Profile Page – Arranging Your Boards. You can change how your boards look, how they’re sorted, and what the cover images are. Look at your profile, select cover images and arrange the boards in some fashion so that they work together cohesively. Otherwise it’ll just be a mess reminiscent of a hoarders episode. The image is the main part, it’s what grabs attention. Make sure it’s reflective of what you’re trying to convey. Many times the image is the only content, and you should be aware that the image (and associated embedded link) is what gets shared, so make sure it stands on it’s own. Keep it short. Sure, the excessively long images, and the tiny print text images are interesting on occasion, but are they useable? Can they even be seen? Infographics are a perfect example of what doesn’t always work. They are useful, interesting, and helpful in many ways, but they’re unwieldy. They take over the feeds, require multiple clicks to actually be able to see it, and even then, it’s usually too small to fully comprehend. And they’re not printable or even viewable on a regular screen unless chopped up through enlarging. So we’re back to the basics. You must understand the audience and how the audience consumes the content on each and every platform you venture into. What works on one social media platform may not necessarily work on another. But one thing to remember, social media platforms are inherently social. If you don’t have or want to infuse a personality, if you don’t want to be social and engage WITH others, don’t take part in social media. ← How Long Should My Blog Be?